my right, on the telephone, 29,5 millions of francs. Last chance. Someone in the room? For the Creation 1 de Grisogono? "and the hammer fell. It did not take more than 3 minutes and 37 seconds to Rahul Kadakia, the International Director of the Jewelery Department at Christie's, to bid The Art of De Grisogono. 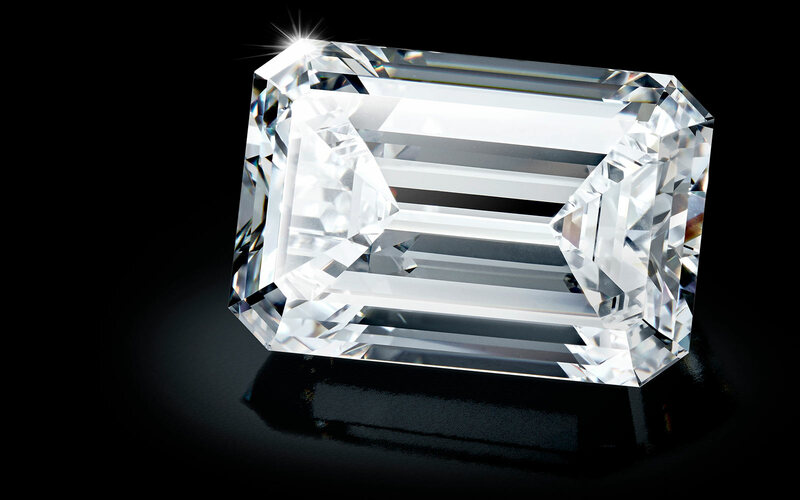 It took no more than 3 minutes and 37 seconds to the buyer to decide to spend 29,5 million Swiss francs to acquire the largest diamond ever auctioned to date. Shortly after the auction, Fawaz Gruosi was still in the grip of emotion: "I never thought I would get to that, live such a moment in my life. The necklace has been sold almost 30 million! It's incredible! And it gives me the energy to do even better. " But let's go back a few days earlier when presenting the necklace at the Hotel des Bergues. It is sheltered from a window with antireflective glasses. But nothing works: The Art of de Grisogono Too much want to show her beauty to the world and makes reflections anyway. 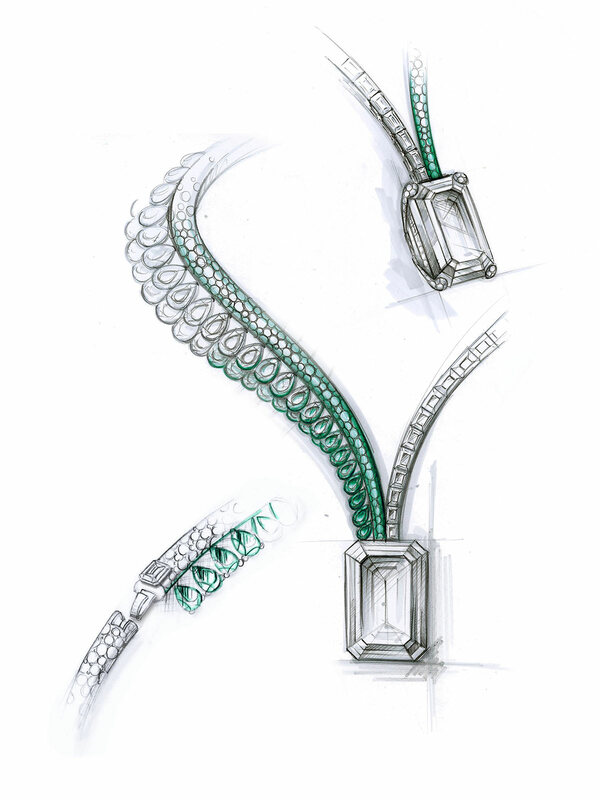 We recognize the original style of the jeweler Grisogono in this necklace, this asymmetry, this daring way to mix diamonds and emeralds of different sizes and shapes. Even the back of the jewel is set with diamonds. It took 1700 working teams to make this piece. A beautiful way to announce the jubilee of the house which will celebrate its 25 years of existence in 2018. The 404,20 carats crude was discovered on February 4 2016 in the Lulo mine in Angola. Baptized the 4 of Fevereiro, it is the 27e biggest white diamond ever discovered to date. 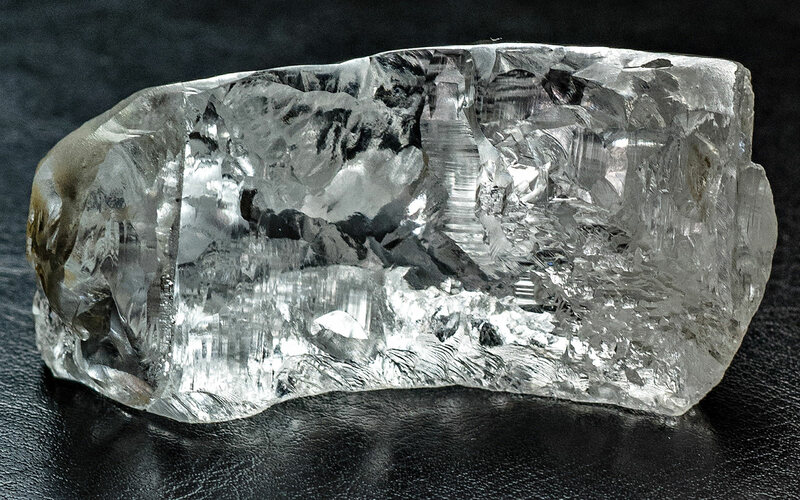 Flawless D-type IIa (pure diamond) diamonds like this one are usually associated with diamonds from the Golconda Indian mine. They represent only 1% to 2% of natural diamonds. Cullinan or Koh-i-Noor, for example, are of type IIa. 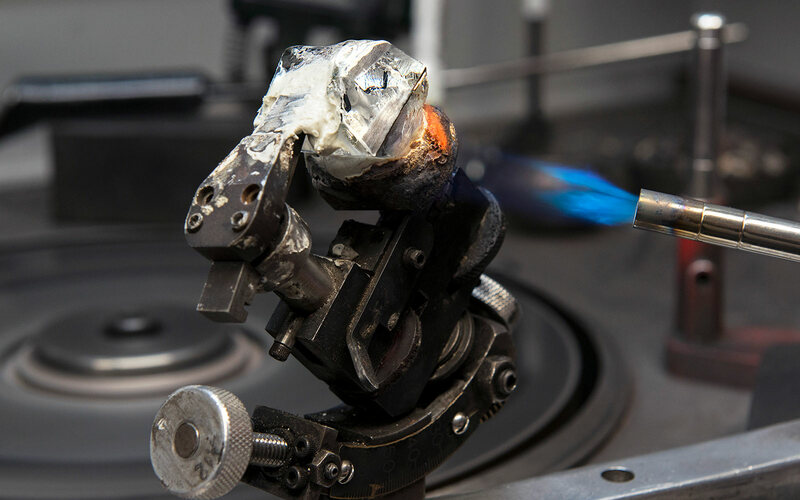 It is thanks to its partnership with the Nemesis diamond trading company that Fawaz Gruosi was able to access this stone, without going through the traditional circuits. The company of Grisogono was bought in 2012 by the businessman Sindika Dokolo, the husband of Isabel dos Santos, who is none other than the daughter of the president of the Republic of Angola. Sindika Dokolo is also linked to the diamond company Nemesis. Nemesis bought the "404", as it is called, from the Angolan state-owned company Sodiam and left it on consignment to de Grisogono. 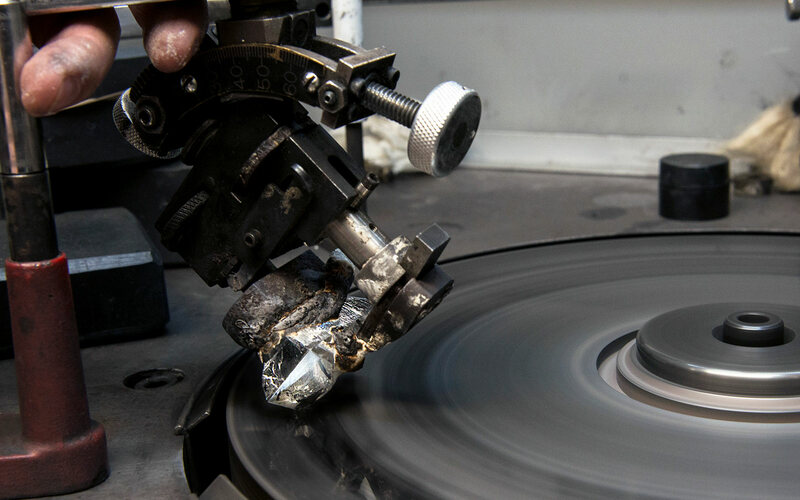 Thanks to his association with the son-in-law of the Angolan president, the Genevan jeweler will pay the diamond to Nemesis only after the sale of the November 14. An application for certification has been filed with the Responsible Jewelery Council. Analyzed in Antwerp, the crude was cut in New York. It took 11 months of work between cutting and polishing to achieve this perfect result: "In forty-six years I had never seen such a diamond. When you have a big stone like what do you do with it? Fawaz has very cleverly mounted it with pear emeralds and on claws he has set four diamonds. The problem with big diamonds like that is that when you said D Flawlessyou have said everything. It is perfectly cut, there is no fluorescence, it is one of these stones which we can not say much because it is perfect! "Says François Curiel, Chairman Europe and Asia of Christie's. And what does the jeweler think? IC: How did you discover this stone? International we are lucky to have priority over the choice of stones. We can choose all the ones we love, the ones we are sure we can sell to some customers. The advantage is that the stones are put back in consignment: from the mine, they pass directly to Nemesis and then are resized and come to us. They do not go through the traditional stages. How did you feel the first time you saw him? It's been in my hands so many times! I wanted to feel close to the stone and be close to me too. I have never been afraid to make strong drawings so far, but when I saw this rough, which I followed to New York where it was cut, I was intimidated. I had never held such a stone in my hands before. I did not sleep for a few weeks. I did not want to fall into the trap of classicism and do a traditional drawing. So I dressed him like that. Did you find the idea the first time? No, we made about 50 drawings. But which one to choose? Finally I decided to make a necklace that is a real piece of jewelry and not just a stooge of the stone. 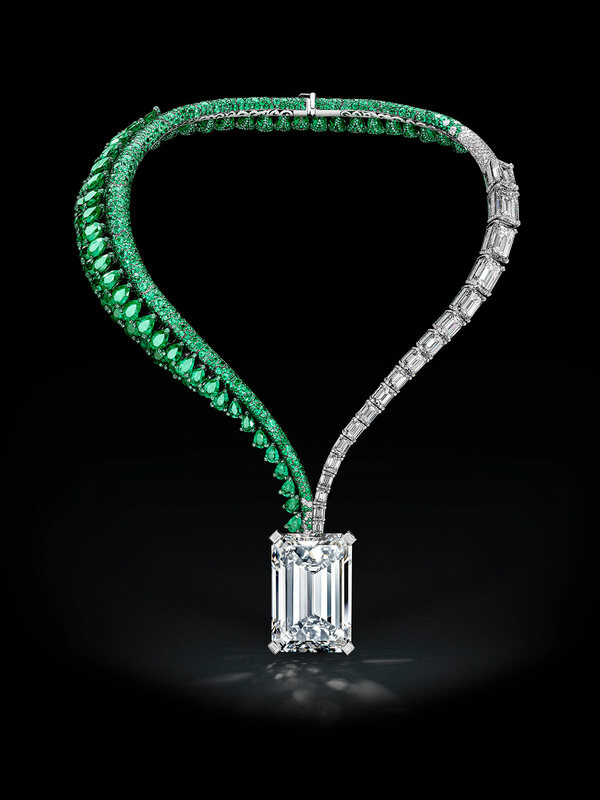 On one side the necklace is set with 66 emeralds, all of the same quality for a total of 122 carats, and on the other side of 48 carats of diamonds. The back of the necklace is also set. Who decided to cut the crude as well? With the current technology we come to understand exactly the best way to carve it and we decided to make an emerald cut. Apart from this 163 carat diamond came out several exceptional stones because the crude was perfect. Why did you choose to auction it? De Grisogono is still a small company today, even if we do wonderful things. We only have 14 shops in the world. If we take the example of Bulgari, they have more than 350, Cartier has more than 400. We can not know everyone. Choosing to auction it was a way to reach more customers. We made a presentation in Hong Kong, Dubai in London and New York. before repatriating him to Geneva. We presented it in countries where there was the feeling that there would be potential customers. We started with a starting price of 20 million: it's not for everyone. It was important for our image to show the world our know-how. Did you think 25 years ago that someday one of your creations would end up on sale at Christie's? Now that the diamond has been sold how will the distribution be done with Nemesis? We will share. We did not even dig the question. First of all we wanted to sell this jewel. Then we will arrange between us. But in any case an injection of several million, it will help us work better. Fawaz Gruosi: Due to our partnership with Nemesis International we are lucky to have priority over the choice of stones. We can choose all the ones we love, the ones we are sure we can sell to some customers. The advantage is that the stones are put back in consignment: from the mine, they pass directly to Nemesis and then are resized and come to us. They do not go through the traditional stages.